Recent cost overruns and issues with the F-35 have compelled political and military leaders to reconsider ordering more F-22 Raptors. The U.S. Air Force was originally supposed to purchase 648 Raptors back in 1991, but ended up only ordering 195 due to fiscal constraints. While the military could always use more fifth-generation fighters — stealthy F-22s and F-35s — there are numerous issues that make such a decision to restart the F-22 production line problematic. Yet, for some reason, the Air Force appears to have engrossed itself in the doctrinaire mindset of transitioning all its fighter aircraft to an all-stealth fleet, no matter the price tag or externalities such a ham-fisted approach might do to undermine American airpower dominance in the future. These are five reasons why more Raptors are not the answer. Don’t get me wrong, American stealth aircraft technology is great, but it is not the “end all be all” of combat aviation. To be fair, stealth is the reason why the military was able to easily overwhelm Iraq’s air defense systems in 1991, and again in 2003, helping establish air supremacy early on in both conflicts. In both scenarios, stealth aircraft helped create permissive environments where non-stealthy aircraft could operate with impunity. However, if there is no credible enemy air defense or aircraft, stealth aircraft just aren’t necessary as it is inefficient to use them due to their prohibitive operating expenses. Worse yet, due to design limitations of stealth aircraft, F-22s cannot carry anywhere near the same level of firepower found on an F-15E Strike Eagle or F-16 Viper. Stealthy F-22s should be used prudently for the right mission and job. 2. Raptors are prohibitively expensive. When F-22s were last built, they cost about $150 million per aircraft. The current cost of fourth-generation fighters such as the F-15C/E and F-16 are about $30 million and $55 million respectively. From a long-term perspective, operational costs matter too, as the U.S. Air Force reports that it costs about $60,000 per flying hour for a Raptor, while the F-15 and F-16 cost about $20,000 to $40,000 per flying hour (depending on aircraft mods). There is a reason why some in the Pentagon view an upgraded F-16 (block 60) or F-15 Eagle C2040 as a low-cost alternative to overpriced fifth-generation fighters. Such upgrades turn F-15s and F-16s into four-and-a-half-generation fighters, which means their sensor capabilities are on par with a F-22, but without the high price tag associated with stealthiness. 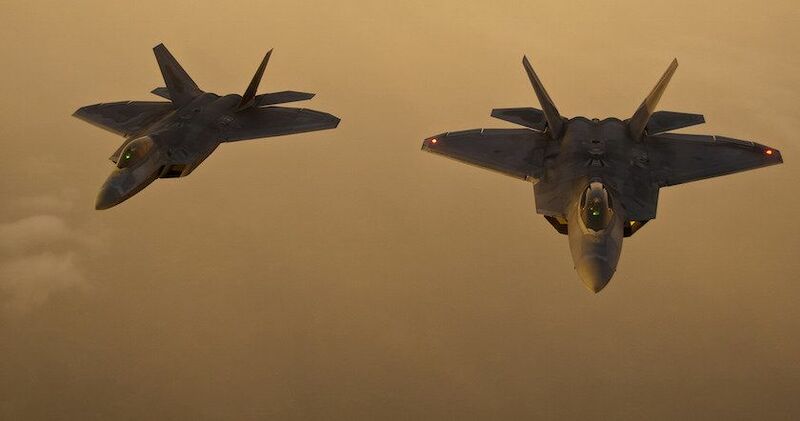 Finally, one should seriously consider the rationale behind the pricey and unnecessary deployment of F-22s to fight the Islamic State, given the lack of enemy aircraft and air defenses. The A-10 is ideally suited for such a battlespace, and it can do the job inexpensively. Similarly, a recent test deployment of the Vietnam-era OV-10 Bronco performed extraordinarily well against Islamic State fighters, showing how insurgents could be fought on the cheap. 3. Money could be put to better use. When you ask the average pilot what makes American airpower the greatest in the world, they would tell you it’s a product of rigorous training, superior electronics and software, and combat experience. First, the quality of our pilots are a function of annual flight training and joint combat training exercises. However, recent budgetary constraints have caused our military aviators to get less annual flight time than Chinese military pilots. Second, what really “packs a punch” on the F-22, F-15, or F-16? These aircraft have advanced electronic sensors in conjunction with state of the art avionics and software. Such equipment helps our aircraft shoot down enemy aircraft before they even know they’ve been spotted. However, the sequester has slowed down four-and-a-half-generation upgrades on F-15s and F-16s. Finally, American pilot combat experience is second to none, given the last couple decades of aerial warfare. Retaining cadres of highly experienced aviators is vital to maintaining the utmost of readiness, while training the next generation of combat pilots. However, budget cutbacks have caused pilots to shoulder more administrative duties in conjunction with less flight hours. It should be no surprise that military aviators are leaving in droves for airline jobs, which offer a higher quality of life and better pay. What’s the point of a fancy fleet of F-22s if you don’t have the experienced cadre of pilots to effectively employ them in combat? Congress needs to provide the necessary resources to entice highly experienced combat aviators to stay in service, be it through larger bonuses or more manpower to reduce administrative burdens on aviators. 4. Need to focus on sixth-generation fighters. The U.S. military possesses more than 200 combat ready fifth-generation fighters, which is exponentially more than any other potential adversary. 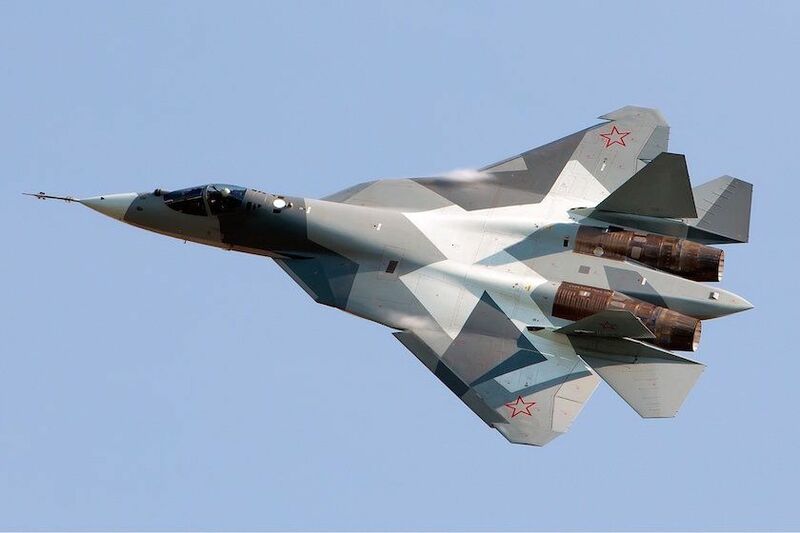 For example, Russia has only built six stealthy T-50 fighter jets with intentions to only build 60 due to rising costs. Similarly, China has only built eight stealthy J-20s, with supposed intentions of building 500 to 700 at an estimated price tag of $110 million per aircraft. Although, given the recent economic slowdown in China, these ambitions might be tempered by financial realities much as they were in the United States and Russia. Since the United States already has a massive fifth-generation edge, we should be looking beyond the F-22, and invest in sixth-generation aircraft. Such aircraft systems will be designed to operate in anti-access/area-denial environments with “reach, persistence, survivability, net-centricity, situational awareness, human-system integration, and weapons effects.” Buying more F-22s now just undermines American airpower dominance 20 years in the future. 5. Diversifying the aircraft fleet. The future of radar technology and electronic warfare will create highly contested battle spaces, where an F-22, which is overly reliant on networks and sensors to be effective, could be reduced to a flying paperweight, forcing the Raptor into within-visual-range dogfights, something it was never designed to do. In beyond-visual-range engagements, F-22s handily defeats any and all fourth-generation fighter aircraft, even when greatly outnumbered. However, within-visual-range-dogfight exercises have shown that the F-22 is not immune against fourth-generation fighters. Finally, with the possibility of drone swarm air combat, F-22s may become effectively worthless against thousands of cheaply produced drones. Diversification of America’s fighter fleet means retaining specific roles for certain aircraft, not just putting all of our eggs in the costly F-22 basket. Ultimately, the U.S. military needs the stealthy F-22 to deter and deny conventional adversaries abroad, as it serves an important purpose in the military arsenal, providing first strike capabilities, which are crucial for attaining air dominance. However, the blind pursuit of an all-stealth fighter fleet is financially untenable, and creates new vulnerabilities and weaknesses. The U.S military is better off investing in the retention of its best pilots and/or purchasing more F-15s and F-16s (and upgrading them), which is a more pragmatic and beneficial strategy given the implications of trying to make more F-22s.